Ford EcoSport Price in Nepal | Petrol, Diesel - Ambiente, Trend, Titanium..
Ford Ecosport in 2019 starts at price of Rs. 35.90 Lakhs in Nepal, which is a petrol vehicle. Diesel variant of Ford EcoSport starts at price of Rs. 39.40 Lakhs. Go Automobiles Private Limited, sole authorized distributor of Ford Cars & pickups in Nepal, sells Ford EcoSport. Customer has lot of choice as there is currently 14 variants including 7 variants of diesel itself. Petrol variants include Trend, Trend+ A/T, Titanium, Titanium+, Titanium+ A/T, Titanium Signature, and Ambiente. Diesel variants include Trend, Trend+, Titanium, Titanium+, Titanium Signature, Titanium Sports and Ambiente. Petrol and diesel version comes with 1497cc and 1498cc engine respectively. They have FWD as drivetrain. Only petrol version comes with option for Automatic Transmission. Please note that above price of Ford EcoSport cars are subjected to change and is for reference purpose only. Kindly contact Ford Nepal to get the latest showroom price. Note: Ford EcoSport price list was last updated on February 12, 2019. 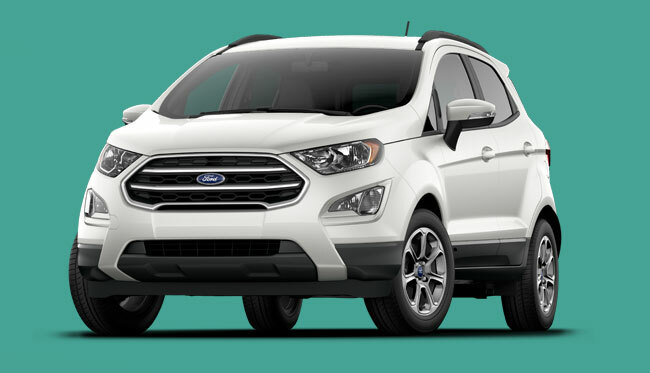 Ford Ecosport is subcompact crossover SUV manufactured by Ford Motor Company. These vehicles are assembled in India and exported to Nepal. Ford Ecosport is slowly gaining popularity in Nepal due to its very affordable price range in the given segment. It is a perfect example of “value for money” SUV car. Also, customers can choose from lots of variants from an established brand such as Ford. Ford vehicle do have good resale value as well. Only complain that this vehicle has received is on its pickup performance. However, for a city drive, Ford Ecosport is a perfect SUV choice for price concerned customers in Nepal. You can message us your queries regarding Ford EcoSport price in Nepal or its specifications/features at our Facebook page.